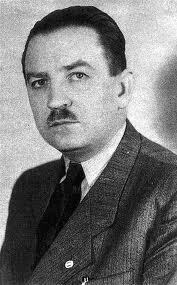 Ferenc Nagy (Hungarian: [ˈfɛrɛnt͡s ˈnɒɟ] ; 8 October 1903 – 12 June 1979) was a Hungarian politician of the Smallholders Party. He was a Speaker of the National Assembly of Hungary from 29 November 1945 to 5 February 1946 and a member of the High National Council from 7 December 1945 to 2 February 1946. The Independent Smallholders, Agrarian Workers and Civic Party, known mostly by its acronym FKgP or its shortened form Independent Smallholders' Party, is a political party in Hungary. Since the 2002 parliamentary elections, the party has won no seats. 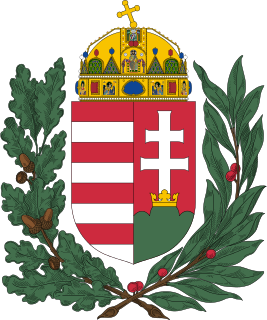 The High National Council was the collective head of state of the Kingdom of Hungary from 1945 until 1946. Macmillan Publishers Ltd is an international publishing company owned by Holtzbrinck Publishing Group. It has offices in 41 countries worldwide and operates in more than thirty others. Permindex, also referred to as Permanent Industrial Exposition or Permanent Industrial Expositions, was a trade organization headquartered in Basel, Switzerland. Allegations that Permindex was a front organization for the Central Intelligence Agency have been advanced by advocates of some John F. Kennedy assassination conspiracy theories. 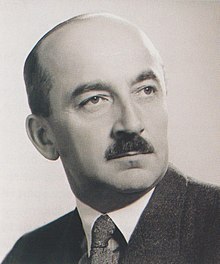 Zoltán Tildy, was an influential leader of Hungary, who served as Prime Minister from 1945–1946 and President from 1946 until 1948 in the post-war period before the seizure of power by Soviet-backed communists. József Révai, Hungarian communist politician. Tibor Nyilasi is a retired Hungarian football player and manager. He signed with Ferencvaros in 1972 and played there until transferring to Austria Vienna in 1983. For the Hungarian National Football Team he made 70 appearances from 1975 to 1985, scoring 32 goals. He played in the 1978 FIFA World Cup and the 1982 FIFA World Cup. After he retired as a player he was manager of Ferencvaros. He has more recently also worked for the Hungarian Football Federation and is regularly appearing as a pundit on the Hungarian sports channel 'Sport TV'. Ferenc Glatz is a Hungarian historian and academician. He has served three terms as the president of the Hungarian Academy of Sciences. István Géczi was a Hungarian football goalkeeper, who played for Ferencvárosi TC. István Juhász was a Hungarian football midfielder, who played for Ferencvárosi TC. István György Örkény was a Hungarian writer whose plays and novels often featured grotesque situations. He was a recipient of the Kossuth Prize in 1973. István Bárczy was a Hungarian politician and jurist, who served as Minister of Justice between 1919 and 1920. He was the Mayor of Budapest between 1906 and 1918 and later served as Lord Mayor of Budapest. He was a member of the Diet of Hungary from 1920 to 1931. Jozsef Wolfner was a Hungarian publisher, founder of the publishing house Singer and Wolfner. 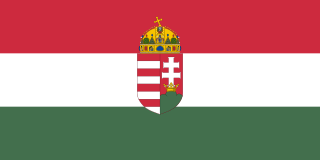 The Hungarian Republic was a short-lived republic that existed between August 1919 and February 1920 in the central and western portions of the former Hungarian Kingdom. 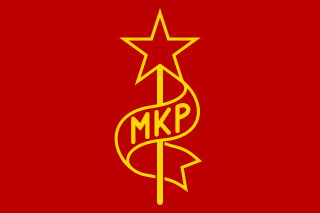 The state was established in the aftermath of the Hungarian Revolutions of 1918–1919 by counter-revolutionary forces who sought to return to the status quo prior to 31 October 1918. János Nagy Balogh was a Hungarian painter and graphic artist who specialized in proletarian subjects. 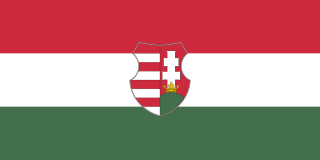 Stephen (I) Lackfi was an influential nobleman and a successful military leader in the Kingdom of Hungary. He played a significant role in the Neapolitan campaigns of Louis the Great. György P. Bulányi was a Piarist priest, teacher, and leader of the Bokor Catholic youth discipleship movements in Croatia and Hungary which faced strong suppression from the Hungarian communist government and Catholic hierarchy for their advocacy of conscientious objection. ↑ Heino Nyyssönen (2001). "Nagy, Ferenc (1903-79)". In Bernard A. Cook. Europe Since 1945: An Encyclopedia. Volume II, K - Z. New York: Garland Publishing, Inc. pp. 335–336. ISBN 9780815313366 . Retrieved 27 May 2013. Vida, István (1990). Ferenc Nagy, a Hungarian agrar-democrat in the first half of the 20th Century : (sketch of his portrait). Budapest: Történettudományi Intézet. OCLC 38784552 . Retrieved 27 October 2008. Csicsery-Rónay, István (1995). Nagy Ferenc miniszterelnök : visszamelékezések, tanulmányok, cikkek (in Hungarian). Budapest: Ezerkilencszáznegyvenöt Alapítvány : Occidental Press. ISBN 978-963-7871-05-4. 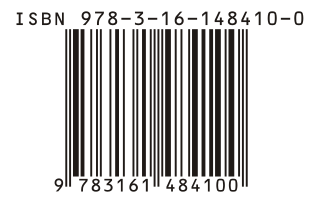 OCLC 36083793 . Retrieved 27 January 2008. Csicsery-Rónay, István (2005). A történelem szolgálatában : (tanulmányok, cikkek, beszédek) (in Hungarian). Budapest: Occidental Press. ISBN 978-963-7871-26-9. OCLC 78888454 . Retrieved 27 January 2008.